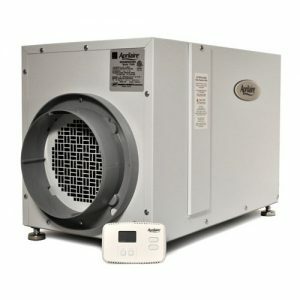 Aprilaire Whole-House Dehumidifiers work throughout your entire home. They remove up to 50% more water per kilowatt hour than leading portable dehumidifiers. The Models 1750A and 1770A also features truly automatic control, so there’s never a need to manually control the dehumidifier – just set it once and forget it!